The first thing people probably notice about you is your smile, and if it has stains, chips, or gaps that constantly make you feel self-conscious, then it’s likely that you’re not making the right kind of first impression. Fortunately, with the help of our cosmetic services, the team at Ridgepointe Dental can give you the kind of smile that always fills you with confidence and truly shows the world who you are. 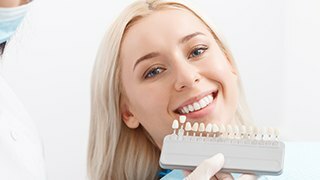 Whether you simply want whiter teeth or a dramatic makeover, we’ll know just how to make your smile truly shine. A porcelain veneer is a thin ceramic covering that is bonded directly to the teeth, and they are always custom-made. Whether you get one or an entire set, they’ll make sure that your smile always lights up your face. 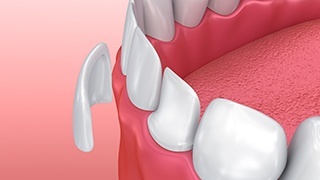 If one of your front teeth becomes damaged due to an accident or decay, we won’t simply repair it with an unnatural-looking metal crown and send you on your way. Rather, we’ll use a metal-free, all-ceramic restoration to give you a tooth that is not only strong and durable but beautiful as well. Ceramic crowns are just as strong or stronger than natural enamel, so they’ll make you feel confident whether you’re simply smiling or taking a bite from an apple. Small chips, cracks, and gaps can have a huge impact on your smile’s overall appearance, but with direct bonding, we can take care of them quickly. With this treatment, your dentist will apply specially-shaded composite resin to your tooth and literally sculpt away all of its imperfections, and that’s it! 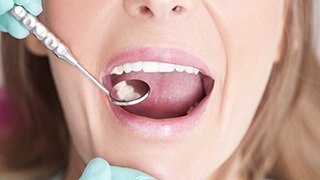 This is one of the easiest, quickest, and most affordable treatments in all of cosmetic dentistry. People simply love white teeth, and there is plenty of research to back it up. For years, studies have shown that white teeth consistently make a person look younger, smarter, and more attractive. Unfortunately, everyday factors like coffee, wine, tobacco, aging, and even genetics can leave a smile looking dull and discolored. Fortunately, at Ridgepointe Dental, we have a treatment that can make your smile up to 10 shades whiter. It’s called ZOOM! Whitening, and with it, a powerful bleaching gel and special UV light combine to quickly break up stains and leave your smile looking pristine. We’ll simply paint the gel onto your teeth and activate it with the light, and it’ll quickly get to work breaking up even the most stubborn stains. After only one session, you’ll be able to see the complete results, and you’ll be amazed at the difference it will make. Tired of being disappointed by over-the-counter whitening treatments that don’t really deliver results? When you’re looking to get a whiter smile in the comfort of your own home, simply look to Ridgepointe Dental for the solution. We can provide you with a custom-made kit that will deliver a smile you simply can’t buy at the store. Our kits will consist of a set of custom-made mouth trays intended to hold our powerful bleaching gel in place. This gel will be much more potent than anything you can get on your own. Simply wear the trays with the gel for 30 minutes a day for about two weeks, and voila, your smile will be brighter and more brilliant than ever! Even better, if your smile ever needs a slight boost in the future, you can always use the kit for a touch up as you see fit, ensuring you’ll have a lifelong white smile! At Ridgepointe Dental, cosmetic dentistry is no longer just for the exceedingly rich and famous. With just one or two simple treatments, we can eliminate flaws and give you the kind of results that are truly worth smiling about. If you’re ready to start getting the smile you’ve always wanted, contact us today for a consultation.